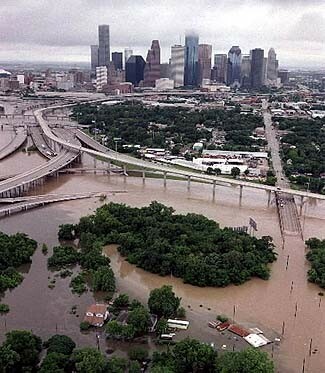 Some years, in Houston, it might rain alot (see Flooding below). However, in the past few years, there have been more years of drought than wet years. This can cause expensive foundation problems. To help prevent foundation problems, you should keep a moist soil content around the perimeter of your house to keep the soil from drying out, resulting in a cracked slab. 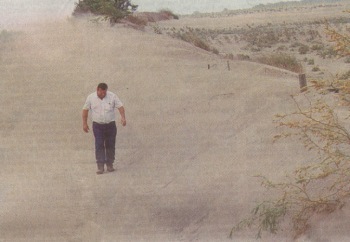 Most of the soil in the Houston and surrounding area is a clay type of soil which swells when its wet and shrinks and cracks when it is dry. When we have a severe drought, the soil around the slab shrinks and cracks causing stress on the foundation and subsequent cracking. This can especially occur if you have trees closer than 20 foot from your house since they tend to remove all the moisture from your soil. You can keep a moist perimeter by using a soaker hose on a timer. Make sure you water your trees as well. 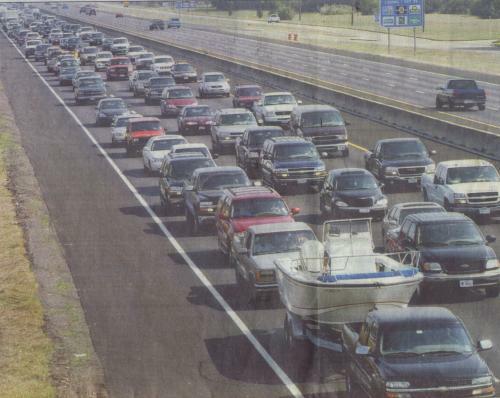 When you think about the impace of a hurricane, you might only think about immediate problems such as how to leave town. However, it can also cause home improvement prices to increase. Leading indicators as of 2006, indicate that the home improvement business is going to remain solid. There will be a demand for materials when rebuilding New Orleans and other areas, and local distribution channels may be challenged to maintain inventory. Also, contractors may not have enough time to take care of everyone. 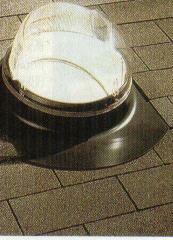 These effects have all ready been seen in drywall, roofing, siding and windows. Call KJM Construction to help you get through these potential problems. The EPA has stated that one of its significant concerns is Indoor Air Pollution produced by mold. 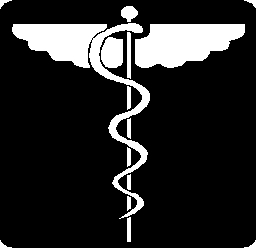 Mold can cause several different medical problems. Commonly reported symptoms include runny noses, eye irritation, aggrivation of asthma, headaches, dizziness and fatigue. So, it is important to keep your home free of mold. For mold to grow, several things are required. The most important of these are: Water (either absorbed from a leak or 65% or greater relative humidity), a Food Source (wood, paper, leaves, Your Home's Walls), and an appropriate Temperature (40-120 degrees F). KJM Construction can help you by adding additional ventilation to your house, replacing flooded sheetrock, repairing leaks, or remodeling your bathrooms/kitchen to make them less susceptible to mold. Call KJM Construction for all your remodeling needs. 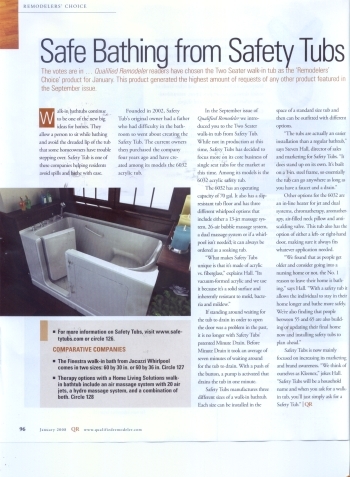 Doing a remodeling job incorrectly can lead to health problems. Just recently, the Environmental Protection Agency came out with two news bulletins regarding possible health concerns for remodelers. 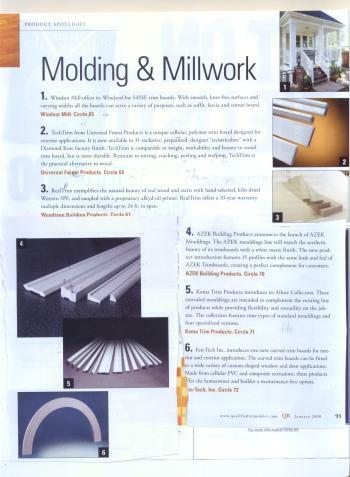 The first item is about treated lumber. This lumber is most often used for outdoor applications, such as decks and fences, because it does not deteriorate over a long period of time, and does not require painting. This is because the lumber is pressure treated with CCA (chromated copper arsenate - think arsenic). Users of this product should wear proper clothing including dust mask, gloves, long pants, and long sleeved shirts when cutting or sanding this wood. Of course, you should make absolutely sure that you do not breathe any of the sawdust, or burn the wood. The second item is about indoor air pollution. The EPA says that indoor air pollution is one of the leading causes of health problems, and that indoor remodeling is one of the major causes of this pollution. (Think of the results of using treated lumber inside). Common remodeling tasks often release dust and other tiny particles into the air, and biological contaminants from insects and rodents that are present in the walls and ceilings could be released during renovation. Consequently, you should make sure that you do not use any dangerous materials inside, and clean up the area in a professional manner. If you are concerned about possible health problems when doing your remodeling job - don't worry. Let the experts do it! Call KJM Construction for all your remodeling needs. Make sure you have a flashlight with fresh batteries and/or candles. If you are within 20 miles of the Gulf you should cover your windows with plywood (we can help with this). Make sure your trees are properly trimmed so that limbs won't fall on your house. If you have an electrical generator, make sure it is in working order, and preferrably place it above ground level. Right now there might not be any activity in the Atlantic Ocean, but you never know when a major hurricane will be in the gulf. Prepare Now! 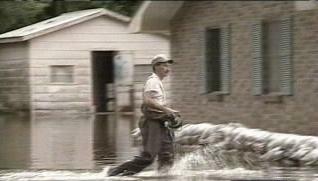 After a major flood when water marks are showing one to three feet high inside the home there are several things should be done even before the insurance adjuster shows up. First make a camera or video survey of the entire house. Pull all absorbant materials (carpets, rugs, etc) off the floor, and remove them from the house. To prevent problems with mildew, you will have to remove sheetrock that was affected by the flood. If the water level was less than 2 inches, remove the lower foot of sheetrock around the entire afected room(s). If the level was between 2 inches and 1 foot, remove 3 feet. Above 1 foot, remove the entire wall. This prevents mold from speading throughout your house. Once all the sheetrock is removed, the best way to sanitize is to get a pump garden sprayer and put 1 part bleach to 2 parts water into the pump and spray all the affected areas (studs, bottom plates, and slab). This helps prevent mold and mildew from building up behind your new walls, even if it takes a while to get a contracting crew in to fix your house. At this point, you should make sure that your insurance adjuster has seen the damage, and call a contractor like KJM Construction to fix the damage. 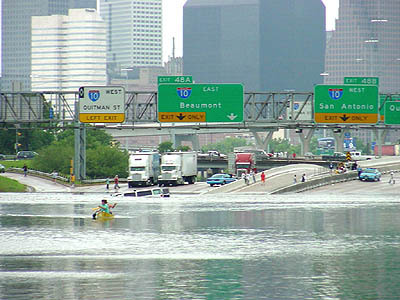 Floods like this can happen anywhere, even in places which did not get hit by the current Houston flood, or even in places designated non-flood plain. So for a minimum amount a year, you should get Flood Insurance. Contract your usual Home Owners Insurance Company about acquiring flood insurace. Remember, your regular Insurance Policy does not cover floods. A good question. What Can radiant paint do for You? Most people have probably heard of the benefit of putting radiant paint in their attic in order to keep their homes cool and their air conditioning bills low in the summer. What you might not realize is that radiant paint can keep your home warmer (and your heating bills lower) in the winter, and can be used on surfaces other than your attic. The reason why radiant paint can be beneficial both during the summer and winter is based on physics. 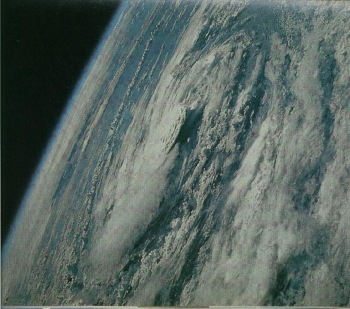 Radiant energy (heat) travels in waves called ElectroMagnetic Waves. During the winter, most conventional paints absorb these waves and transmit the heat to the exterior of the building causing your house to cool down (and requiring you to use more energy to heat the house). Radiant paint reflects these waves back into the house, thereby keeping your home warmer. This is not a problem during the summer, because during the summer most of the radiant energy is hitting the outside of your house, instead of the inside. With conventional paint, the waves are absorbed by the walls and the heat is transmitted to the inside of the house (where you do not want it). Radiant paint prevents the heat energy from entering the house, keeping it cooler in the summer. In short, radiant paint prevents heat from moving from inside to outside keeping your home warmer in the winter, and prevents it from moving from outside to inside keeping your home cooler in the summer. 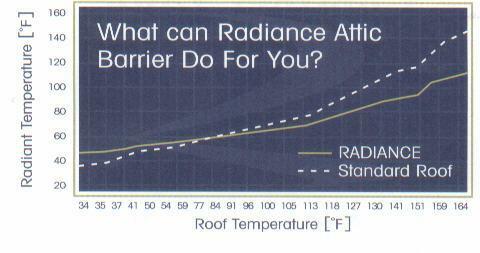 Radiant Paint can be installed in your attic (especially good for the summer), or on the interior walls of your home. If you want to install it on the interior walls of your home, it is best to put it on a south facing wall. Radiant paint comes in several different colors so you can match it to your existing color scheme. When installing radiant paint, it is important Not to mix the paint by shaking the can. If you need to mix the paint, mix it by stirring only. With the continuing increases in the cost of natural gas and electricity, installing radiant paint would be a great investment. The best times for installation are either during the spring or fall. And talking about saving energy, you can save even more by using natural lighting during the day instead of artificial lighting. How? Have some skylights installed! 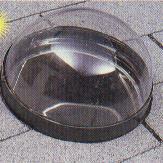 In this newsletter, we are featuring three new tubular skylights. We have rated them in the order in which they are shown (best comes first). 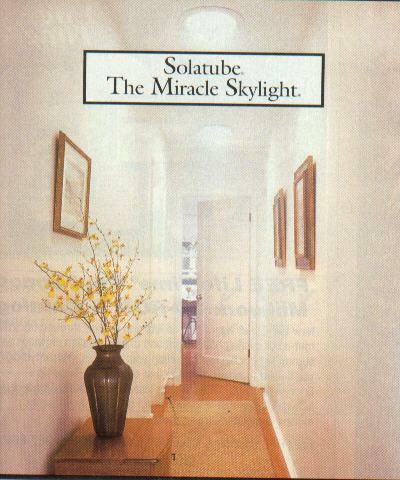 Solatube's Skylight features technology that captures and redirects low angle light down the tube for enhanced performance during cloudy days and during early morning and late afternoon hours. Sun-Tek allows the versatility to allow the use of natural lighting in small rooms such as bathrooms, hallways, and closets. ODL has a skylight which will evenly spread light over 300 sq. feet. So, between these three new skylights, you could provide your entire house with inexpensive (free) natural lighting. 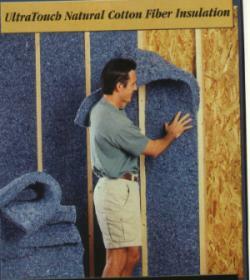 Ultra Touch produces Natural Cotton Fiber Insulation that provides both thermal and aucoustical insulation. 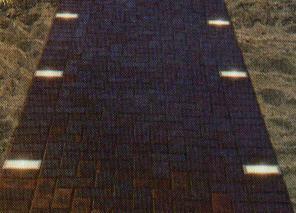 Since it is made out of cotton, instead of Fiberglass, it is also safter to handle and is formaldehyde free. Ultra Touch is insulation that will lower your energy costs, provide you with a quieter environment, and that is safe for you and the environment. And with all the money you will be saving with Radiant Paint, and Skylights, you will be able to make your house more attractive at night with Tahoe Lighting's in-ground lighting which can be used on patios, sidewalks, and driveways. 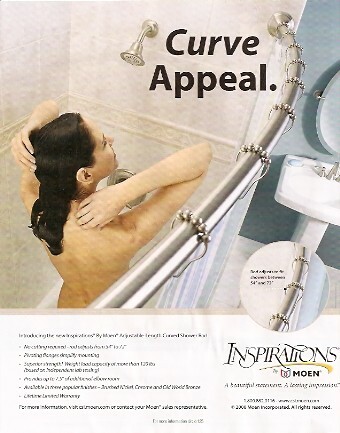 Another great product for your home is the Ultra Round shower by Ultra Baths. This shower features a corner drain and gutters along the interior to facilitate water drainage. 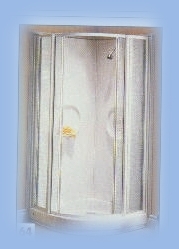 The base is constructed of high quality Acrylic which creates a smooth, shiny, less porous surface. 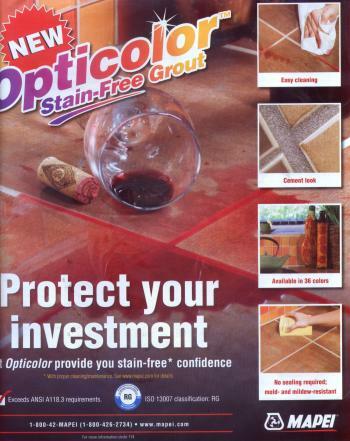 Looking for a very effective way to improve the value of your home? 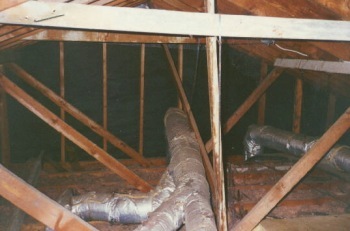 One of the best ways to do this is by doing an attic addition. Redone as a storage space - Doesn't it look a lot better? 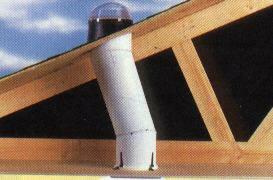 Attic additions is a cost effective and popular improvement for your home. According to the National Association of the Remodeling Industry (NARI) it is one of the most popular remodeling jobs done. 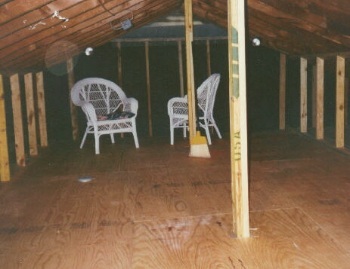 You can have your attic redone to be just storage space, or you can do more. You can add another bedroom, walk-in closets, or even add a recessed entertainment center/bookshelves/computer desk to an existing second story room. What you can do is only limited by your imagination and the size of your unfinished attic. When you are ready for your attic remodeling job, call KJM Construction for all your remodeling needs. If you have any home improvement questions, feel free to contract us. If you would like to be informed of future issues and changes to our newsletter, you can be added to our mailing list. Simply return to our Home Page, select "Contact Us", fill in your e-mail address, and under "Description of Project" enter "E-Mail". KJM Construction - For all your home improvement needs.